I've been wanting to do something about my hair for the longest time. 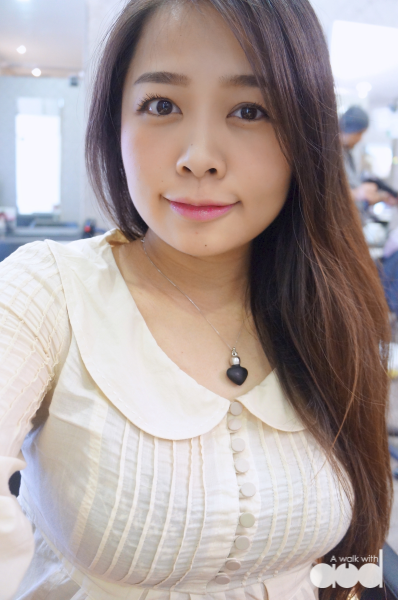 But it was delayed because of wedding (long hair easier for hair styling). 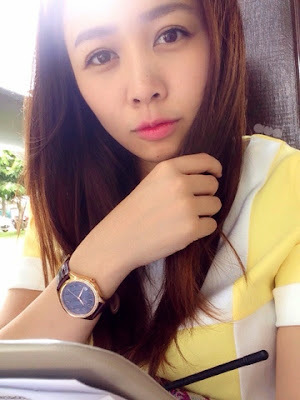 Not too long after wedding, I am pregnant and people told me I should not do anything to my hair to prevent chemical entering my body and affects my baby. Okay, better be safe than sorry right? So I took the advise. 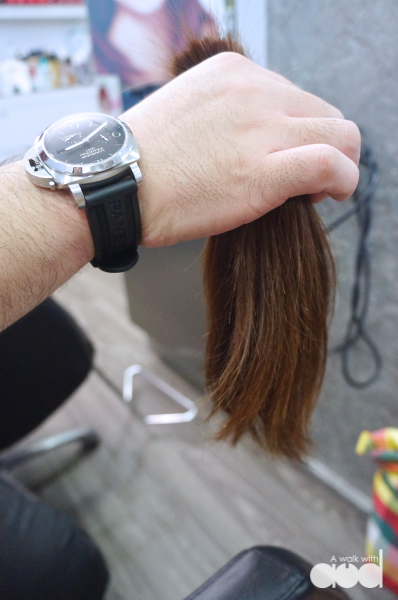 I was actually worried about the trouble I have to deal with my hair for the coming confinement. Chinese has this ridiculous tradition of no shower/ hair wash for a month. Imagine how dirty, smelly and messy my frizzy waist length hair will be! 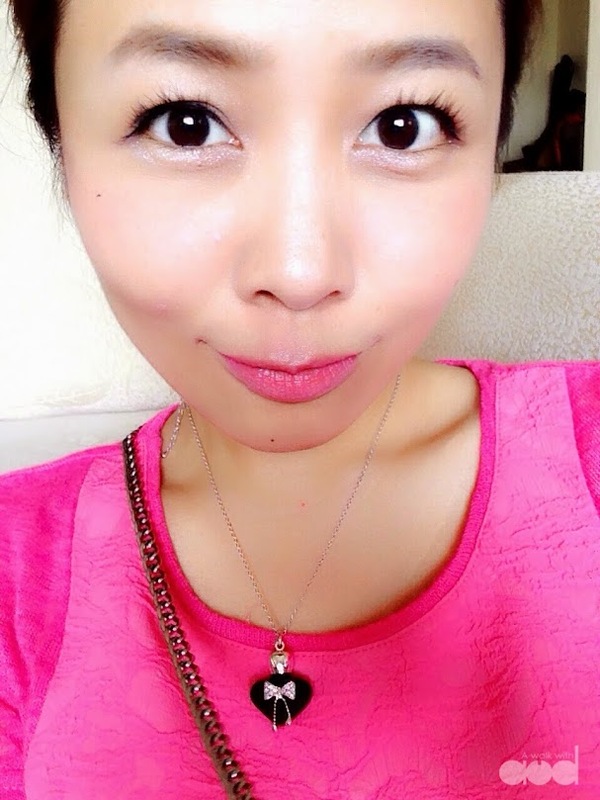 Although I do not intend to follow the tradition exactly (plan to wash my hair every 2 days), but still, I was hoping to do something to my hair so that I can feel better during the confinement. I guess Charles from the Headlines Hairdressing heard me. He approached me and told me that he has something suitable for pregnant and breastfeeding mummies. Sounds good, so I decided to make an appointment with him to find out more. 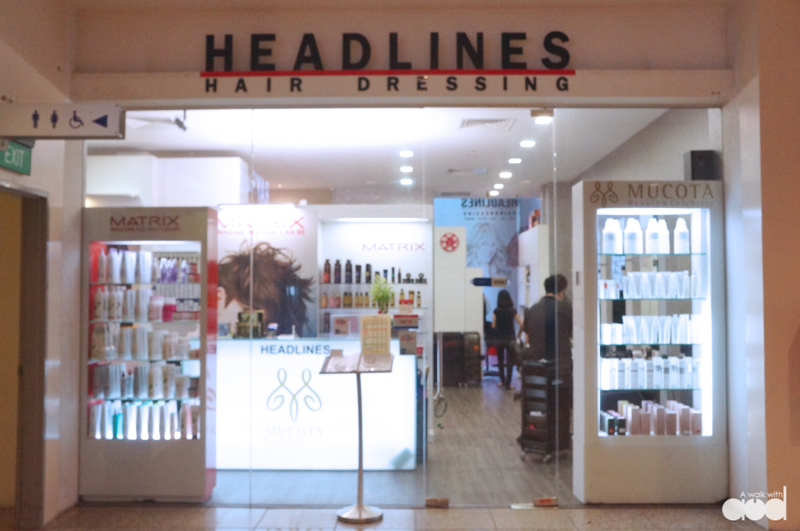 Headlines Hairdressing is located at #01-15 China Square Central. It can be reached by North East line, Chinatown station (exit E). It is very easy to find. Walk in from the main entrance and you will see it on your right. 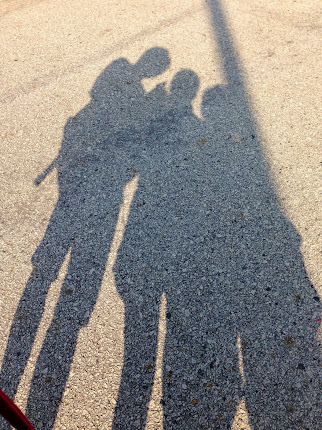 Here I am. I was shown to my seat and was served with a cup of hot tea while waiting for Charles. The crew was really sweet, they told me that they have milo to be served if I feel hungry. One of them offers to help me buy food too. So much care for a preggy. Told Charles that I hope he can save my hair from the coming confinement horror and that I want it to be shorter (but able to tie). He grabbed his tools and *SNAPPED* without hesitation. 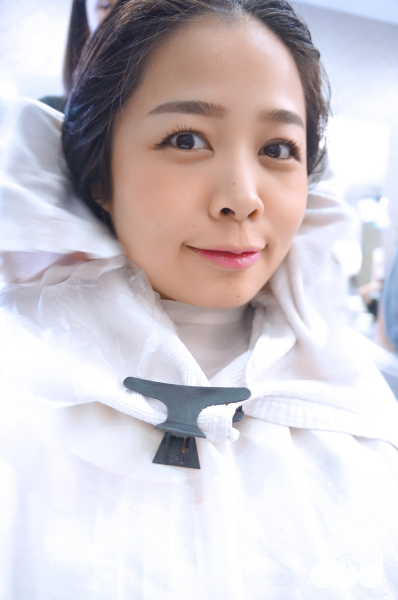 My hair was washed before the treatment starts. OMG, I am excited! The treatment that Charles was talking about is their signature Mucota DYNA Argan Oil Treatment originated from Japan. 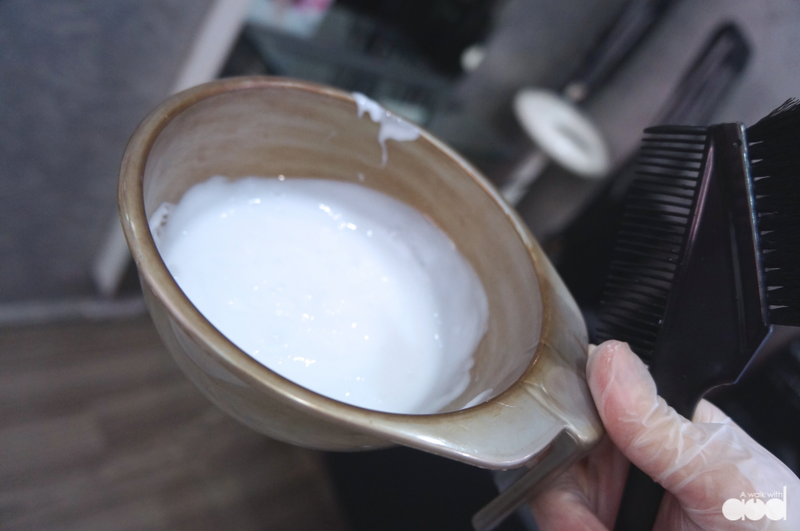 This treatment is suitable for people who has rebonded their hair, or have unruly, frizzy, and unmanageable hair. Mucota Dyna Argan Oil Treatment is made from argan oil that is rich in Vitamin E, omega-3, and omega-6. 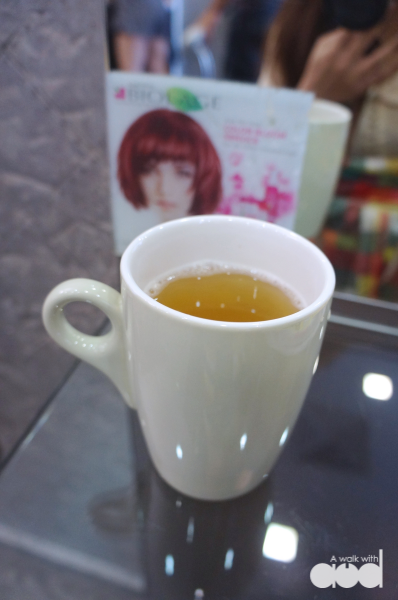 It helps to restore dry and damaged hair to a soft and silky condition. It also contains shea butter, jojoba, honey, castor, and collagen to prevent frizz and replenish hair’s natural moisture. The treatment consists of 2 steps. There are three different step one. 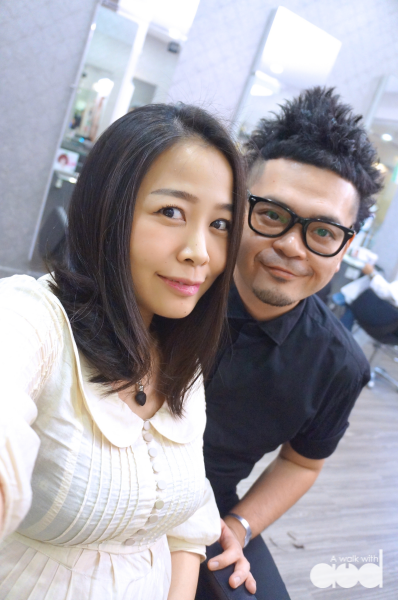 Depending on your hair condition, the hair stylist will decide which to be used. 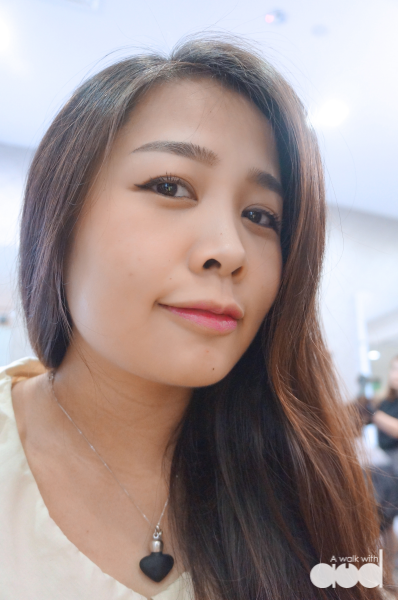 DYNA CCA: Change the hair texture. Gives hair a sleek and glossy finish. 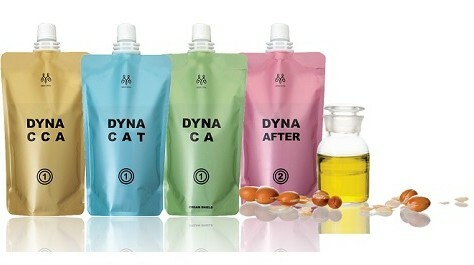 DYNA CAT: To relax curly or color damaged hair. Gives hair a soft and natural finish. DYNA CA: To maintain the hair straightness and softness in a natural finish. 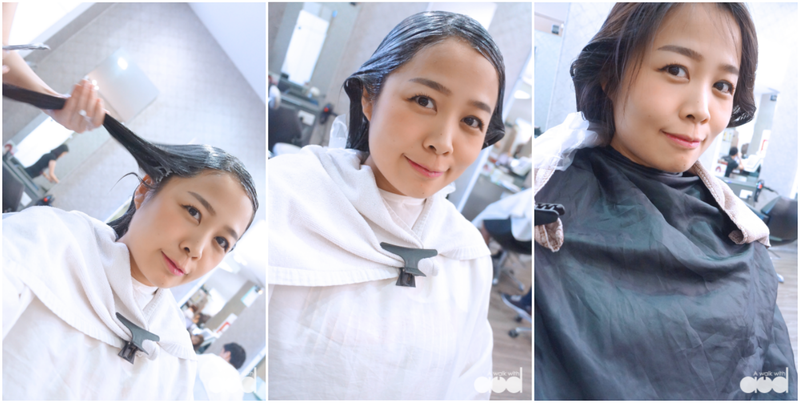 Step 2 is DYNA AFTER: moisturizes the hair and seals all the goodness from the treatment. 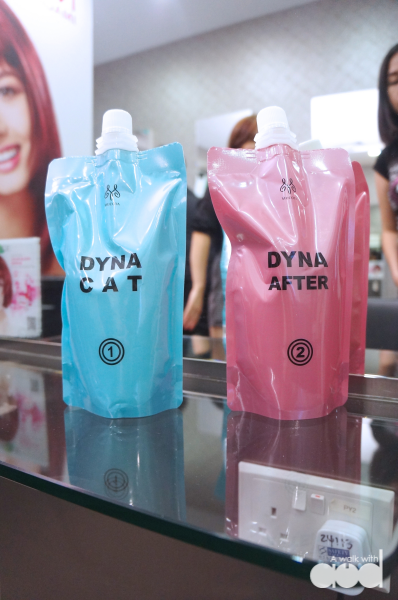 For my hair, Charles decided on DYNA CAT because of my natural curl and super dry texture. Step 1: Apply DYNA CAT. Leave it for 30 minutes. This treatment does not contain formaldehyde (commonly found in other hair straighteners) that can cause cancer. It is also ammonia free (does not have the strong smell). Therefore, it is very safe to use. Yes, it is safe for the pregnant women and breastfeeding moms too! That's the most amazing part of the treatment, don't you agree? 30 minutes later, rinse it off and blow dry. Look how straight and soft my hair is! The treatment was not even done yet. Charles was applying some heat to my hair using a straightener in order to seal off the goodness of the treatment. Before proceeding to step 2, Charles actually touched up my hair color with ammonia free product so that my hair looks healthier. Step 2: Apply DYNA AFTER. Leave it for another 10-15 minutes. The treatment was finished off with a hair wash and blow dry. DYNA AFTER further moisturizes the hair and seals off all the goodness of this treatment which can last at least 3 - 6 months. 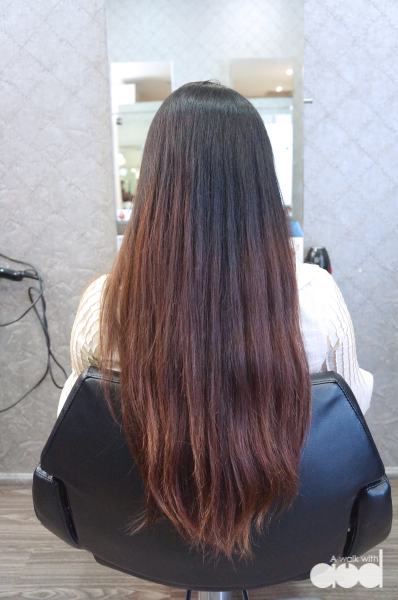 Unlike rebonding, Mucota DYNA Argan Oil treatment gives you a natural straight hair look. It is so soft, smooth and silky that you can even tie or bun your hair without worrying that it will leave traces on your hair like how rebonding does. 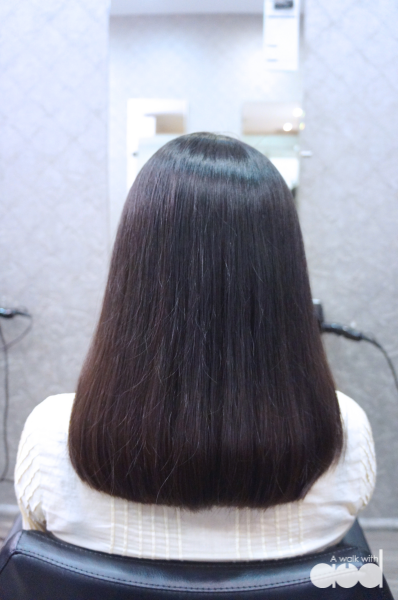 Rebonding damages your hair (hair may be straight but dry and frizzy) but this treatment gives you the result (better results) of rebonding and yet keeps the hair soft, silky and smooth. It's been almost a month now, my hair is still so soft and smooth. I don't really need extra care to maintain my hair now. It will definitely make my confinement much easier as I have one thing less to worry about. Thanks Charles for this awesome treatment. 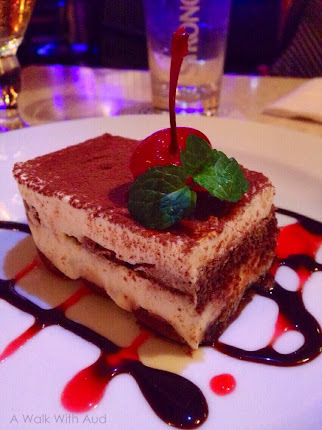 I will definitely come back for it! 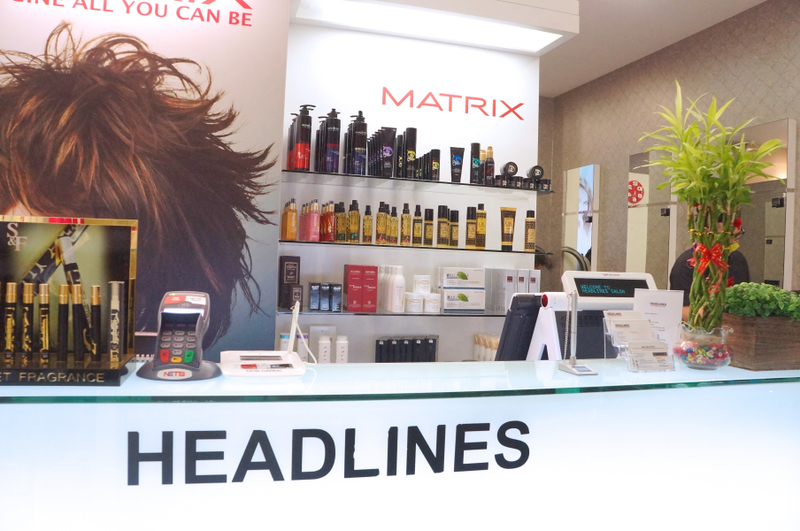 Mucota Dyna Argan Oil Treatment is only available at Headlines Hairdressing. Bring a friend to enjoy the Mucota Dyna Argan Oil Treatment at a discounted price of SGD 218 each. 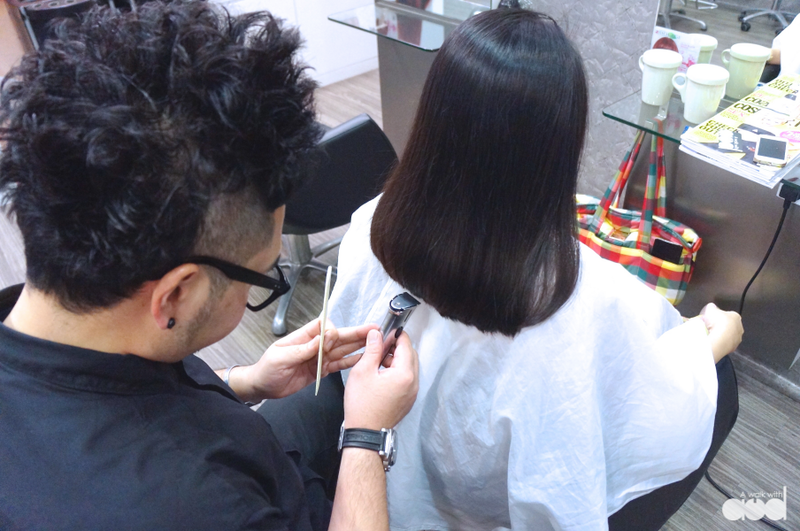 Look for Charles and quote “Audrey” to enjoy 10 - 30% discount off all regular-priced hair services at Headlines Hairdressing.